Liz Sheehan – Are your hormones out of control? Liz Sheehan / Liz's Blog / Are your hormones out of control? Organs and glands like your thyroid, adrenals, pituitary, ovaries, testicles and pancreas regulate most of your hormone production. If you are carrying too much weight your fat cells can produce more hormones. If your hormones become even slightly imbalanced they can cause major health issues. Research shows that your gut health plays a role in hormone regulation so if you have gut permeability, a gut infection (“bad” bacteria overgrowth, yeasts or parasites) or a lack of “good bacteria” lining your intestinal wall, it can also cause hormone imbalance. Make you dependent on prescription drugs for the rest of their lives. 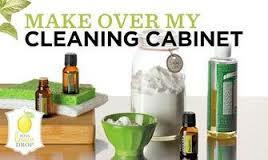 Mask your original symptoms while you develop disease in other areas of the body. If you don’t want these negative side effects but want to naturally balance your hormones, the good news is there are ways to balance your hormones naturally. Eat “good” fats – Eating a variety of foods high in short-, medium- and long-chain fatty acids is key to keeping your hormones in check. Not only are these essential fats fundamental building blocks for hormone production, they nourish your skin and hair, boost your metabolism and promote weight loss. 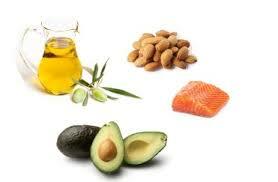 Healthy fats include: coconut oil, avocados, grass-fed butter, nuts and seeds, olives, mackerel and wild-caught salmon. 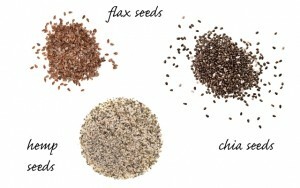 Balance Omega-3/6 Ratio – Hormone imbalance is an inflammatory condition. Eating a diet of processed foods is higher in Omega 6 than Omega 3. Those processed Omega 6 fats are inflammatory. Steer clear from oils high in omega-6s (safflower, sunflower, corn, cottonseed, canola, soybean and peanut), and load up on rich sources of natural omega-3s (wild fish, flaxseed, chia, hemp seeds, walnuts and grass-fed animal products). There is a type of omega-6 fat you want to try and get in your diet called GLA. GLA (gamma-linoleic acid) can be taken in supplement form by using evening primrose or borage oil, and it’s also found in hemps seeds. Studies show supplementing with GLA can support healthy progesterone levels. Heal Leaky Gut – Gut permeability is a condition that not only affects your digestive tract, but also causes hormone issues and can more specifically target your thyroid. When undigested food particles like gluten leak through your gut into your bloodstream, it can cause disease-causing inflammation of the entire body and more specific organs like the thyroid. 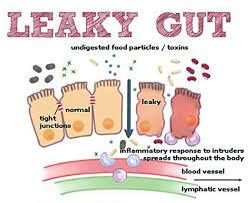 Most people with gut permeability have a deficiency of probiotics in their guts. Probiotics actually help your body produce certain vitamins that affect hormone levels like insulin. In addition, supplements like digestive enzymes and probiotics can aid in repairing your gut lining which in turn can balance your hormones. Some of the main things that damage your digestive health include processed foods, gluten, dairy, sugar, alcohol, nicotine, caffeine, some medications, hydrogenated oils, food sensitivities and emotional stress. Get More Sleep – Unless you get seven–eight hours of sleep every night, you’re likely not getting enough sleep to support your body. Lack of sleep and sleeping at the wrong time actually may be the worst habits you can have that disturbs hormone balance. Why? Because hormones work on a schedule! Cortisol, the stress hormone, is regulated at midnight. 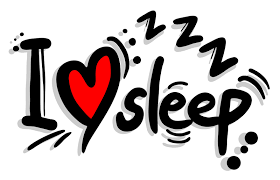 Therefore, people who go to bed late never truly get a break from the sympathetic flight/fight stress response, which has led to widespread stress-related health disorders. Limit Caffeine – Drinking too much caffeine is almost as bad as not getting enough sleep. It elevates your cortisol levels, lowers your thyroid hormone levels and basically creates havoc throughout your entire body. Get your Vitamin D3 – Vitamin D acts like a hormone in your body. Between the months of Sept – April you just don’t get those beneficial rays from the sun. Your liver will store some but this time of year you might be running low. Your GP may be able to request this test or you can do a private test that only costs £28. It’s important to know just where your levels are so a Nutritional Therapist can dose you therapeutically. There are many other (safer) ways to prevent pregnancy and relieve menstrual/menopausal symptoms. Please get in touch if you’d like help rebalancing your hormones naturally.